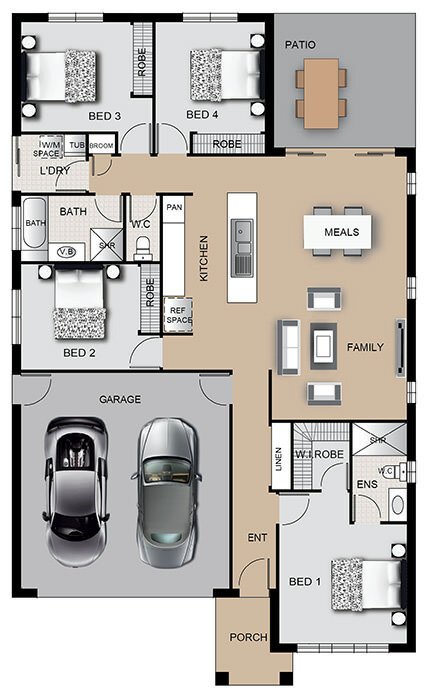 The Bluestone is a modern single storey home great for growing families. 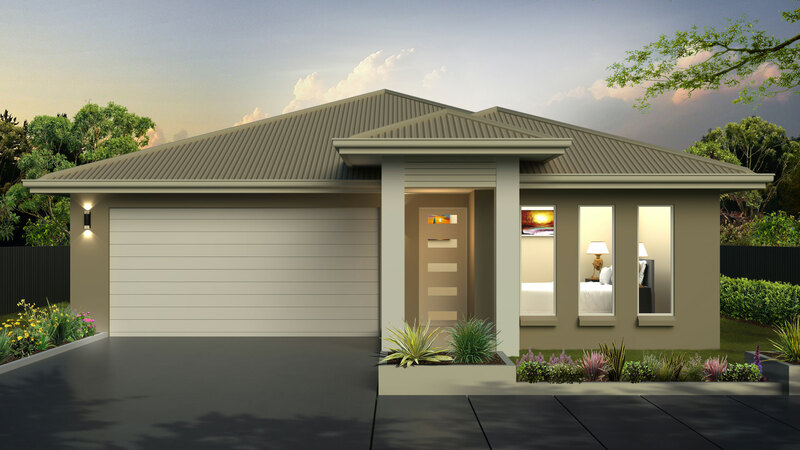 Featuring a generously sized master bedroom at the front of the house with ensuite and walk in robe, and three spacious bedrooms at the rear of the home, the Bluestone has plenty of room for everyone. The contemporary layout of the kitchen, family and dining rooms is perfect for spending quality family time together and entertaining guests. The dining room backs on to the patio allowing a lovely flow to the outdoor entertaining area. The Bluestone is a fabulous first home that is beautifully designed and family friendly.